Choosing a perfect pair of eyeglasses﻿ can be one of the more important decisions you will need to make. The best place to start is in person with one of our eye care professionals, because they have been thoroughly trained in the art of custom fitting. When it comes to choosing the best glasses, think of them as your personal stylist! Our opticians not only have a trained eye for the best look, they also know which eyeglass styles work best with your prescription and the particular lenses you have chosen. 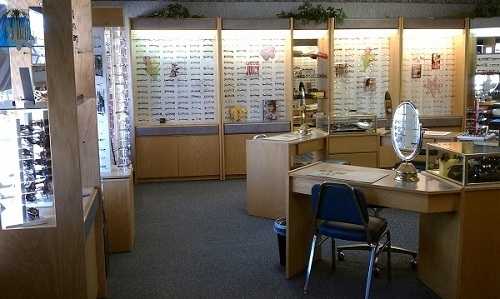 See one of our eyeglass professionals today and find the right eyewear solution for you!